Social Responsibility Statement – We believe that as a company, being successful also means supporting our people, our customers, and our communities. Northbridge Cares – We’re passionate about making a difference in our communities through our social responsibility program, Northbridge Cares. Public Accountability Statement – Whether it’s how we support our customers’ continued success, our commitment to our communities or the strength of our company culture, we’re passionate about making a meaningful difference. We are a passionate group of professionals who love to celebrate our culture, share our values and take pride in our work. TORONTO, November 19, 2018 – Northbridge Insurance has released a special report titled Canadian Cargo Theft Trends: What’s new, what’s now, and what’s on the horizon, describing how advancing technology and new high-value targets are putting carriers at risk from coast to coast. Since the voluntary system for reporting cargo theft was launched collaboratively by the Insurance Bureau of Canada and the Canadian Trucking Alliance, an increase in reporting has provided an opportunity to take a closer look at how cargo theft is affecting Canadians and how carriers can mitigate this growing risk. “These losses are having a direct impact on carriers’ bottom lines, and bring a huge reputational risk” stated Garry Robertson, who leads the Claims Special Investigations Unit at Northbridge. “For consumers, stolen products are often hiding in plain sight. The saying, ‘it fell off the back of a truck,’ may once have referred to a great deal, but it’s important to start asking where goods are coming from. Eventually, costs will increase,” he added. Using data from local law enforcement reports, the Insurance Bureau of Canada, and other cargo authorities, the report offers a review of the current trends and changing risks surrounding cargo theft. Mixed-load cargo, such as grocery and household items, topped the list of most commonly stolen products in 2018. Meat products are becoming a primary target for theft and have attracted well-funded criminal networks: Northbridge Insurance claims data from 2018 shows that one stolen load was valued at $200,000, which would require a coordinated effort and investment in specialized equipment to prevent spoilage. Cargo itself isn’t the only target: thieves are becoming increasingly more interested in the trailer as well, which is virtually impossible to recover once dismantled. While Northbridge data shows that most reported theft occurs in Ontario, more consistent reporting from western Canada is indicating an increase in missing lumber loads and heavy equipment. Technology is spurring growth in the industry, but also producing new ways for criminals to make off with freight. In many cases, thieves are breaching online broker sites to select high-value deliveries and collect them ahead of schedule by assuming a false identity. Carriers should take extra precautions as we approach the holidays – a peak time for cargo theft, as more goods travel in preparation for the gift-giving season. As a leading insurer within the Canadian trucking and logistics industry, Northbridge offers sound support and a range of helpful programs and services for concerned carriers. As cargo theft evolves, so does our commitment to producing data-based insights and solutions that will help trucking and transportation companies of all sizes to stay one step ahead of this rising threat. The full report is available at nbins.com/cargo. Northbridge Insurance is a leading Canadian commercial insurer. Working with our broker partners, we focus on understanding the needs of our customers and on creating solutions that make a difference to their success. Visit us at www.nbins.com to learn more. Northbridge Insurance has again been ranked by brokers as a five-star carrier. In an independent survey conducted by Insurance Business Canada, Northbridge achieved top marks in underwriting expertise, reputation and financial stability, quick quotes and competitive rates. Find out exactly what brokers had say and how carriers compare in Insurance Business Magazine. Shari Dodsworth, Senior Vice President, Sales & Distribution, shares how brokers can win over more small business clients in the June 2018 edition of Canadian Underwriter. DAS Canada announces a new partnership with Northbridge Insurance in Canadian Underwriter. This product is designed to protect Northbridge Insurance’s Onyx customers from legal expense exposures. TORONTO, April 24, 2018 – Northbridge Financial Corporation is proud to be recognized with the Celent 2018 Model Insurer Award for Legacy and Ecosystem Transformation, awarded today at Celent’s 2018 Innovation and Insight Day in Boston, Massachusetts. Celent is a global research and advisory firm for the financial services industry. Now in its 12th year, Celent’s annual Model Insurer Award recognizes best practices of technology usage in different areas critical to success in insurance. Amid 132 submissions from across the globe, Northbridge was honoured with the award in the category of “Legacy and Ecosystem Transformation” for its five-year, strategic IT business transformation program that integrates and consolidates legacy systems. The Legacy and Ecosystem Transformation category focuses on projects related to upgrading core systems, including policy administration, document management, customer relationship management, new business, illustrations, billing, claims, and rating/underwriting. Click here for more information and the Celent Model Insurer award. Northbridge Financial is a leading commercial property and casualty insurance group that’s been helping to protect Canadian businesses for more than 90 years. We’re 100% Canadian and wholly owned by Fairfax Financial Holdings Limited. We offer a wide range of innovative solutions to Canadian businesses through our Northbridge Insurance, Federated Insurance and TruShield Insurance brands. 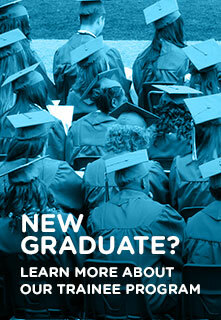 Visit us at www.nbfc.com to learn more. TORONTO, April 18, 2018 – Northbridge Insurance is thrilled to announce the launch of its new claims appraisal service, Express Claim—an innovative solution that allows customers who experience an accident to submit photos of damage to their vehicle directly to their Northbridge Insurance claims adjuster, right from their smartphone. By removing the typical back-and-forth between customers and their claims representatives, Express Claim not only expedites the appraisal process, it also enables faster payments and improves overall customer experience. In the event of an auto accident, Express Claim allows Northbridge Insurance adjusters to work remotely with customers through their smartphone to capture photos of the damage. With that data in hand, adjusters can now provide customers with an appraisal in as little as half a day—while helping to find a preferred collision repair centre and arranging for a rental if needed in the meantime. Check out this quick video to get a snapshot of Express Claim in action. Sending photos of the damage directly to an adjuster isn’t the only benefit of the new service. Express Claim also allows customers to electronically sign the Proof of Loss and Final Release forms—further automating and streamlining the process. For Northbridge Insurance’s broker partners, the tool reduces their customers’ claims cycle times by over 30% and requires no added work from them. Improved data techniques will soon transform the insurance model, changing you from an insurance professional who underwrites and sells policies into a holistic advisor. Ilda Dinis, SVP, Customer Experience & Innovation, shares how technology is driving organizations to evolve their mindset, purpose and value proposition to be prevention-focused in the March 2018 edition of Canadian Underwriter (p. 21). https://newsroom.mastercard.com/press-releases/mastercard-and-dream-speed-up-insurance-payments/ PURCHASE, NY / TORONTO, February 27, 2018 – Mastercard has announced a global partnership with Dream Payments aimed at getting insurance customers paid quickly, simply and securely.  Northbridge Financial, a Fairfax company, will be the first insurance provider in Canada to use the Mastercard Send platform through the Dream Payments Hub, followed by international markets. The promise of digital technologies is top-of-mind for senior Canadian insurance executives in Canadian Underwriter’s 2018 Primary Insurance Market Outlook. President and CEO Silvy Wright shares how customers are extracting more value from their insurance partners through digital innovation, and how this will only continue to ramp up in 2018. Innovation is the name of the game for 2018. President and CEO Silvy Wright shares Northbridge’s leading-edge initiatives for the year ahead with CI Top Broker. Northbridge Financial Corporation is a leading commercial property and casualty insurance group that's been helping to protect Canadian businesses for more than 90 years. We are proud to be a 100% Canadian company, wholly-owned by Fairfax Financial Holdings Limited. Certain content used on this website are trademarks or tradenames of Northbridge Financial Corporation (or its affiliates) and are used under license by our insurers. For more information please see Trademark Information. © Copyright Northbridge Financial Corporation. All Rights Reserved.